Pooja joined 23andMe in 2015 and is responsible for the regulatory compliance, regulation enforcement, and ethical conduct of multiple 23andMe’s research projects. In addition, she manages various IRB submissions. 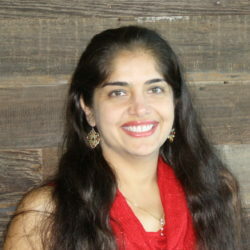 Prior to 23andMe, Pooja was a program manager for human genetic research studies at the University of Pittsburgh where she oversaw a number of initiatives including the 3D Facial Norms Project for NIDCR’s FaceBase Consortium, which generates data in support of advancing research into craniofacial development and malformation. Before her career change into the world of genetics, Pooja taught Math and Science in K-12 schools for a number of years. She earned her Ed.D. in Administrative and Policy Studies from the University of Pittsburgh as well as a Master’s in Education from the University of Cincinnati and a Master’s in Science from the University of Mumbai.